Welcome to the Passion-4-Pattern BlogHop!! Hi there, and welcome to the Passion-4-Pattern BlogHop!! 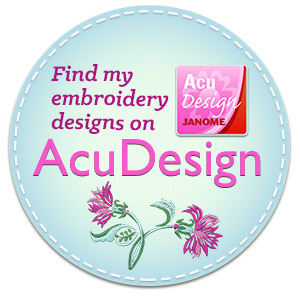 You’ve probably just visited Leslie Doughty’s fabulous blog, now onto mine!!! After you finish reading mine, please hop on over to the blog of Loni Harris!!! And if you are just popping in, why don’t you start at the very beginning, and visit Claire Smillie’s blog? Then you can marvel at each and everyone’s wonderful work that is participating today! This pattern is hot off the presses, I just finished it a few days ago. Why don’t you leave a comment below and help me think of a name for this one? 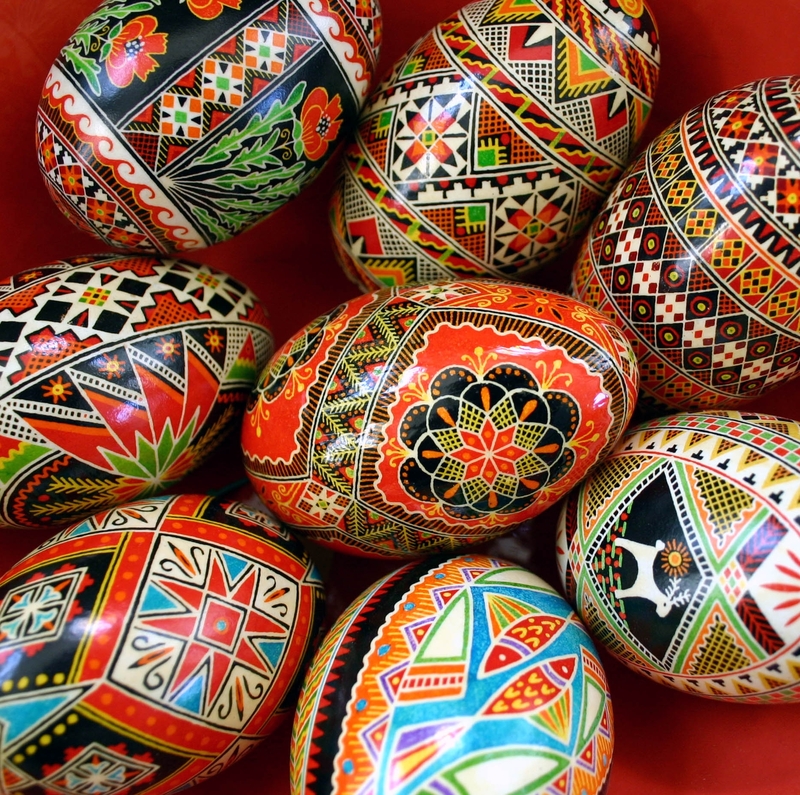 The designs are based on traditional Ukrainian Pysanky motifs. I am passionate for patterns of all kinds, and I used to make these decorative little treasures a few years ago. These are some examples of the goose eggs that I’ve made, below. I loved making these, other than the fact that fingers and hands were stained constantly!! 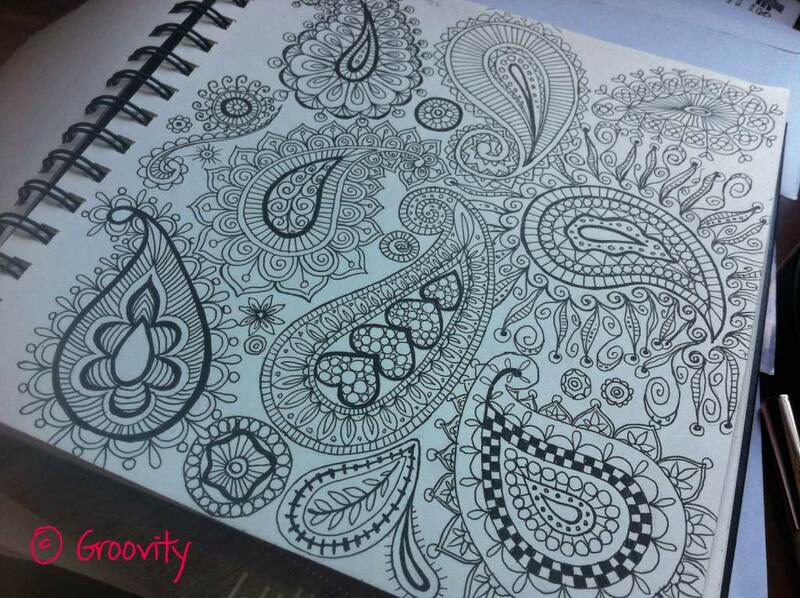 I love to draw, I love to doodle! Although all of my work is done on the computer using Adobe Illustrator, Photoshop, or Corel Painter, I get my freshest ideas when I sit at my desk with a marker and my sketchbook. 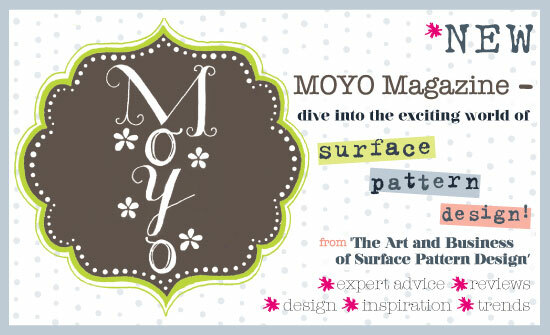 Ideas flow, and fresh patterns are born!! Here are a few pages from my favorite sketchbook. Thanks again for “popping” in!! Looking forward to all of your comments. Peace! Please check out the blog of Loni Harris next! If you would like to read my other blog post about how I make pysanky, please click here. Mary, i’m just so jealous of your amazingly steady hand. your drawings are so amazing, and i’d love to steal a page from your sketchbook (pretty Please). Also, I want one of your eggs. Mary, your designs are stunning, so intricate and beautifully drawn and with fabulous, strong colours. Thanks for sharing your sketchbooks too! Great designs. Love the bright colour. Thanks for sharing your sketchbook images. Thanks Simi! It’s so much fun to love what you do!! Mary, LOVE your sketchbooks, so Tidy!!! you crazy woman! Lovely designs, can’t wait to see them with color! Thanks Carrie!! I’ll get to that after all the briefs and website design are complete! Hehe!! Thanks Anneline! What a fun day (and night!!) seeing everyone’s work! I’m still trying to finish it all! Those eggs Mary…i am speechless…they are a.ma.zing. You have such a talent (and so much patience!!! )…when I grow up, I wanna be able to draw and paint like you! Seriously, your sketchbook…totally jealous 🙂 I’m with Carrie, absolutely cannot wait to see where you take those sketches. Thanks Claire!! I wonder if my eyesight can take it??? I’m looking at the eggs in front of me and wondering how I had the patience to make them…HAHA!! Thanks for setting up this wonderful “Hop”! Was really fun, and gave me the nudge to move my blog here to WordPress and set it all up! Hi Mary!!! Your work is so bright, so energetic and so colorful. With the more people I meet i can see the connection of the look of their work and their personality. We should arrange another meet up before winter driving!!! We definitely should! Ugh, winter is just around the corner…And thanks for you wonderful comments, Deborah!! Great work, Mary! You’ve honed a style and it’s beautiful! When I was FT at a job looking for a paisley expert where were you? 🙂 Keep ’em coming! Hehe, thanks Nicky! 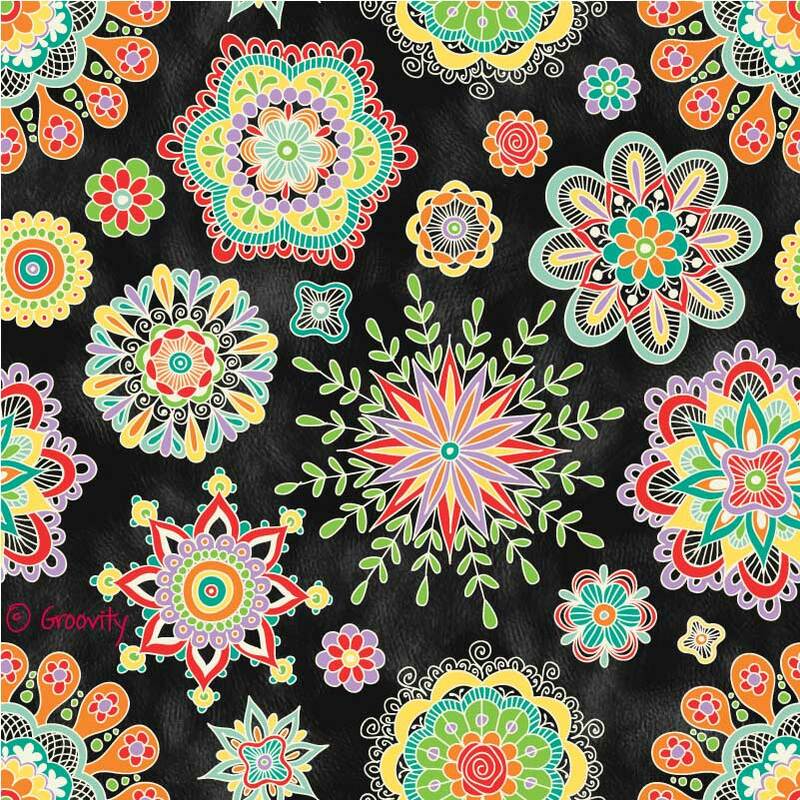 Drawing paisleys just requires a really awesome 60’s music stream!! Wow! I absolutely love your design and style! I just love color too! 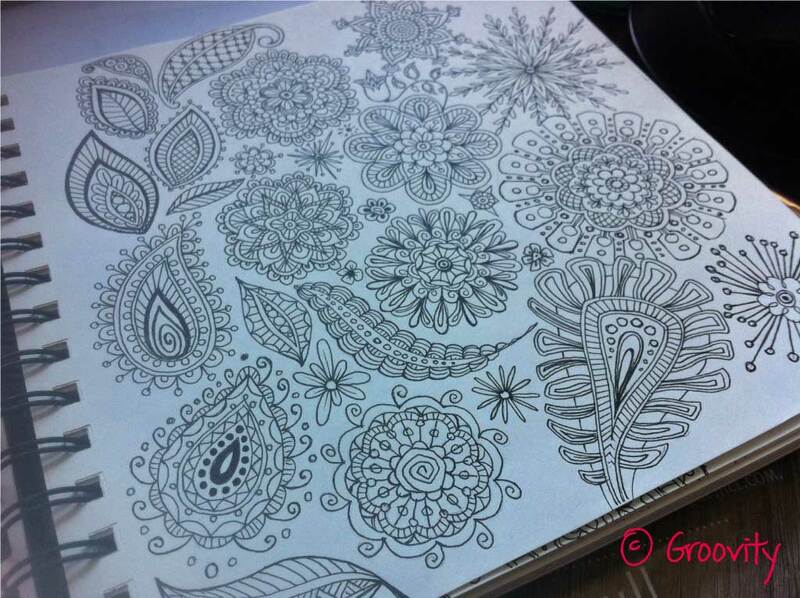 Love the intricacy and the playfulness of your designs and motifs! Keep them coming :). Great work Mary! The eggs are amazing!